We definitely didn't buy our house because of the kitchen. We really do love our little home, but one of the things that is greatly lacking is functional cupboard space in the kitchen. 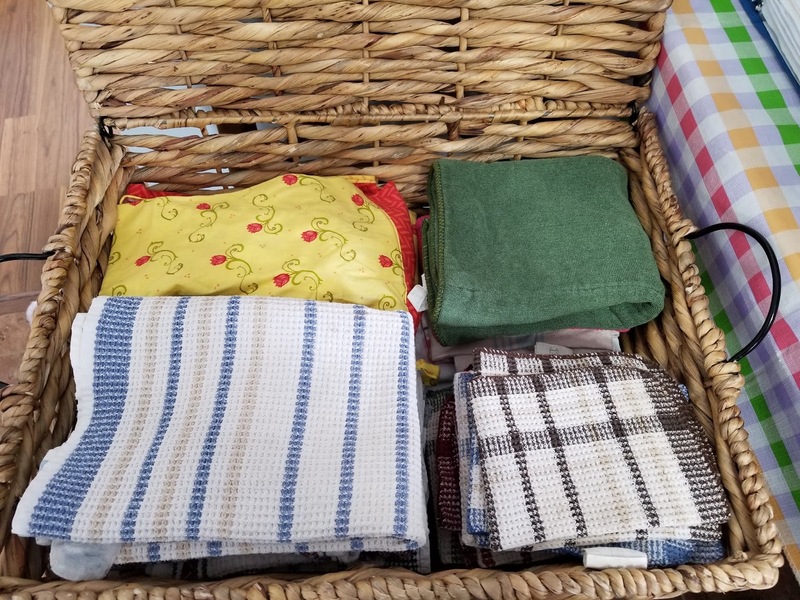 We don't even have a decent cutlery drawer, let alone a place to stash our kitchen linens. We keep these in a basket that is displayed on our ladder shelf. I hated going in this basket because it was getting much too full. I tackled this project the other day and it was a quick one to do. 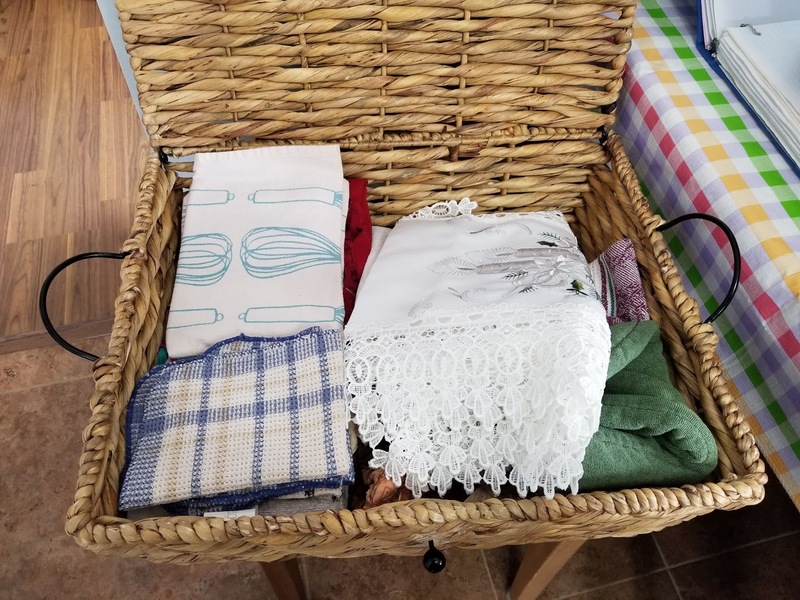 The basket held dish cloths, dish towels, decorative towels, drying mats, aprons and table linens. It was full. What you don't see in the photo below is the laundry basket full of clean dish cloths and towels that I needed to put away. I removed the table linens and put them in our laundry room downstairs. Our laundry room has a lot of shelving so it seemed like the best place to store them. I then separated the items out by category. Everything was much easier to find. My linen basket is far more functional now that my table cloths are elsewhere. I no longer dread going into the basket.